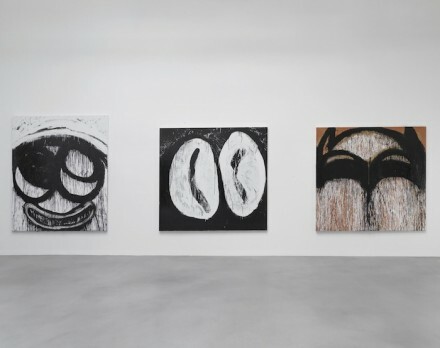 To advertise her fourth solo show at Petzel Gallery, Joyce Pensato released a short video, a brashly black and white, slapstick affair, set to classic ragtime piano tunes. In it, superhero Batman is knocked upside the head and shipped off to the exhibition, while Pensato, playing the gun moll in round-framed dark sunglasses, imitates her dumbly-smiling cartoon portraits. The video perfectly encapsulates Castaway, a new series of black and white cartoon portraits, erasure-paintings and drawings, both large-scale and small-scale, in addition to digital c-prints of the artist’s studio space. 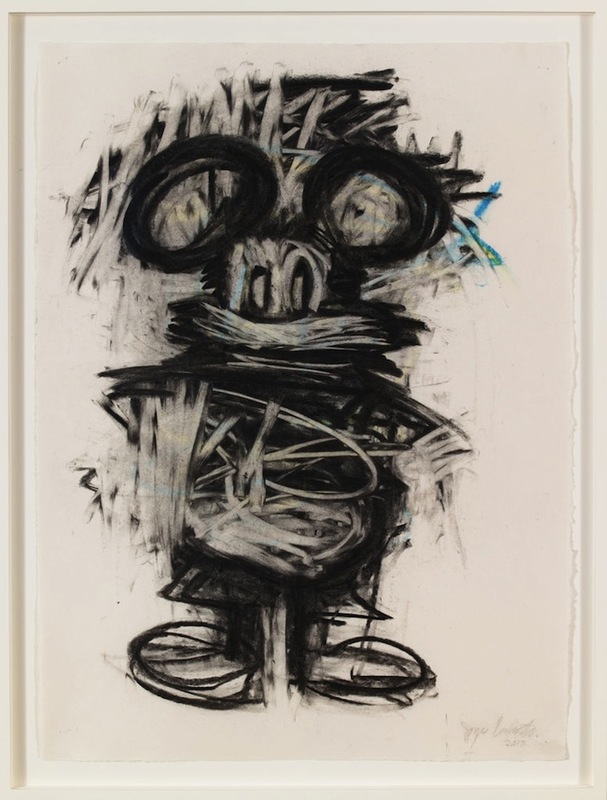 Pensato was born, raised, and continues to work in Bushwick, Brooklyn, a fact that inevitably influences her chaotic, layered approach to painting. American pop culture icons like the Simpsons, Donald Duck, and Batman have been the basis for her work from the beginning, but it wasn’t until French gallerist Anne de Villepoix recognized the appeal of a Mickey Mouse painting during a studio visit in the early 90s that Pensato began really focusing on this wilder abstract expressionism and darker side of pop art. 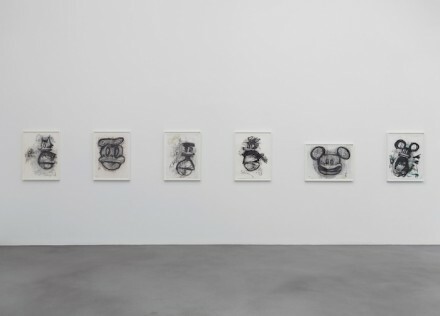 In Castaway, Bart and Homer Simpson, Mickey, Donald, and Felix the Cat all appear in erasure drawings and/or in thick, enamel-layered linen. They stare wide-eyed, somehow more impish and animated here than in their original versions. Jackson Pollock’s drips are an obvious reference, as are Lichtenstein’s own brand of large-scale pop caricature. 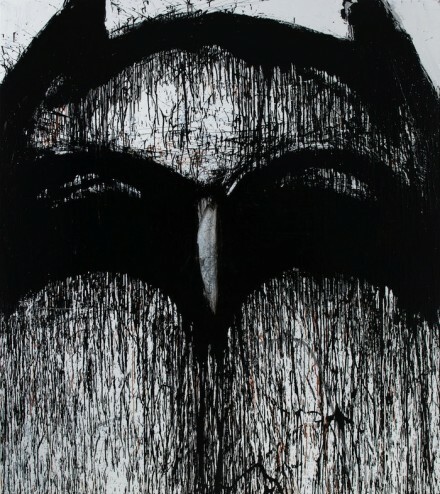 Pat Steir’s waterfalls share the length of drip and stroke, while Christopher Wool’s abstract work, with whom Pensato shared a studio and a friendship, uses similar methods of erasure and layering as expressive marks in their own right, not to mention the work’s often blurred reproductive explorations as a reflection of pop culture. 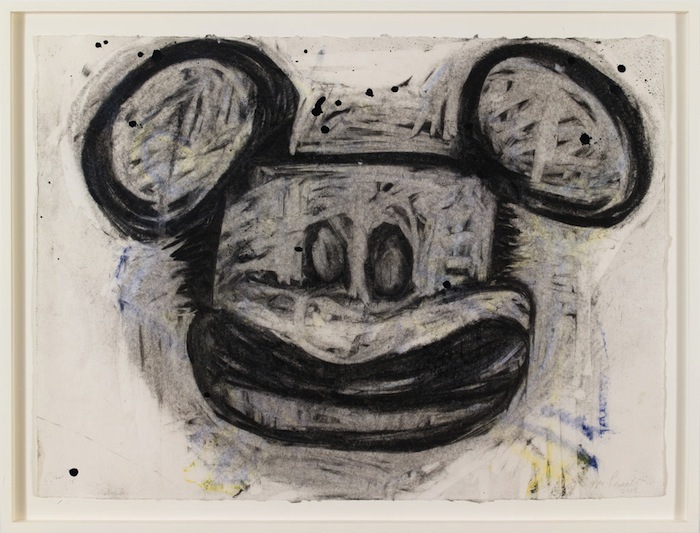 After several years of showing on the periphery with a somewhat neutral response to her work, Pensato is enjoying a recent surge of success. Her first American retrospective, I Killed Kenny, showed at the Santa Monica Museum of Art in 2013. and at the Contemporary Art Museum of St Louis a year later 2014. 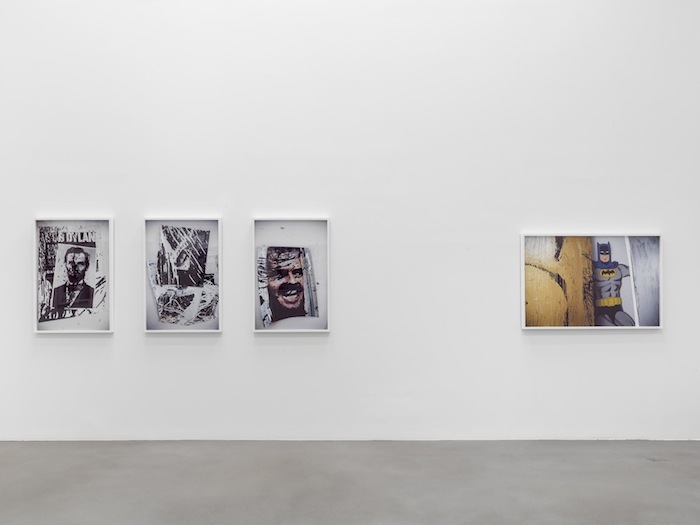 Alongside Petzel Gallery, she is represented by the Lisson Gallery, has work in the permanent collection of the Museum of Modern Art, New York, SFMoMA, San Francisco, and the FRAC des Pays de la Loire, and has won the Robert de Niro, Sr. Prize (2013), as well as the Guggenheim Fellowship (1996). Castaway is on view at Petzel Gallery through March 28, 2015. This entry was posted on Thursday, March 26th, 2015 at 12:00 am	and is filed under Art News, Featured Post, Show. You can follow any responses to this entry through the RSS 2.0 feed. You can leave a response, or trackback from your own site.